Offering customized options for your pet! Play dates, walks, rides and more. You need it and we'll help you find what's best for your AlphaHound! Syl Paugh, Founder/CEO of AlphaHound Inc.
Syl started with her own Pack over 20 years ago. Through the years she has encompassed a wealth of experience and knowledge in setting packs up for success. With consistency, positive reward, and understanding the individual needs of each pet, she has a high success rate. Today she works in partnership with the pet parents to help successfully integrate their pets into healthy, happy, home and social environments. RedBear came from an abandoned farm house where she was known to follow behind the horses on trail rides. Today she welcomes new AlphaHounds. With her docile nature and aged soul, she provides warmth and comfort to any pack. You can still see RedBear hiking the trail, at her leisure pace, enjoying time with her siblings and mama. She is truly a remarkable, one of a kind, heart warming soul. Blu Barkley Paugh, the Foundation of AlphaHound Inc.
Blu was adopted at a young age. He quickly displayed signs of anxiety in car rides and sporadic aggression towards other dogs. He was a fearful and stressed. Syl did not want Blu spending his life in fear. AlphaHound Inc was developed to help dogs like Blu. Learning and understanding his needs Syl slowly integrated small groups of dogs into Blu's environment, matching personalities, to gain confidence, learn boundaries and to set them all up for success. Blu now loves long car rides, being a leading pack member of AlphaHound Inc., and enjoys hiking the mountain trails. He is a loyal, regal, and loving soul. Pink Repeat Paugh, the "Road Dog" of AlphaHound Inc. Pink was found as a puppy trotting down a freeway. By the second day of fostering her, Syl had her microchipped and she's been part of the pack ever since. She is a playful spirit, eager to welcome pups and cats. From chasing, running, traveling and playing, she's the first one up and last one down. 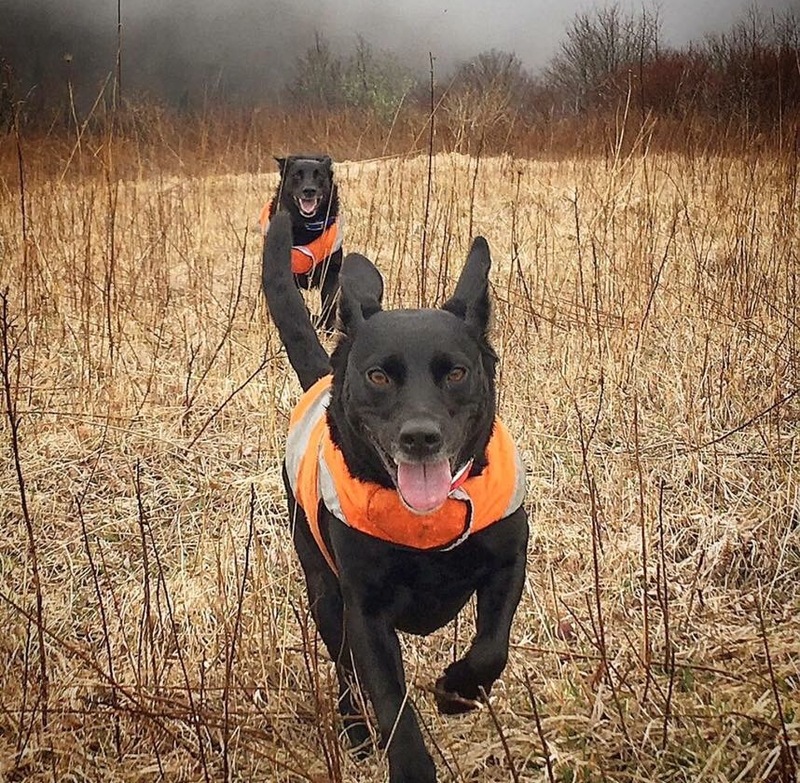 Pink loves hiking the trails with her siblings, the AlphaCREW, as well as the AlphaPack. She's pure energy, happiness and the brave soul of the Pack. AlphaHound, Inc. owner Syl Paugh and her AlphaCrew (Red Bear, Blu, & Pink).